Its raining around..plush gardens..washed tress..I see greenery everywhere. I wanted to wear some green nail paint and while searching I saw this in some corner of the stash,lying since i dunno when!! Its the Streetwear nail paint in Olive Drab. If you are looking for a nail enamel brand which comes in a wide array of shade to match your every outfit, Street Wear Color Rich Nail Enamel is an ideal choice. Every shade in this brand comes with a sheer sheen and there are a host of sophisticated colors which really make your hands stand out and get noticed. No make up for women is complete without the application of the nail polish to go perfectly with the dress. With the Street Wear collection you are sure to never be out of the right shades. 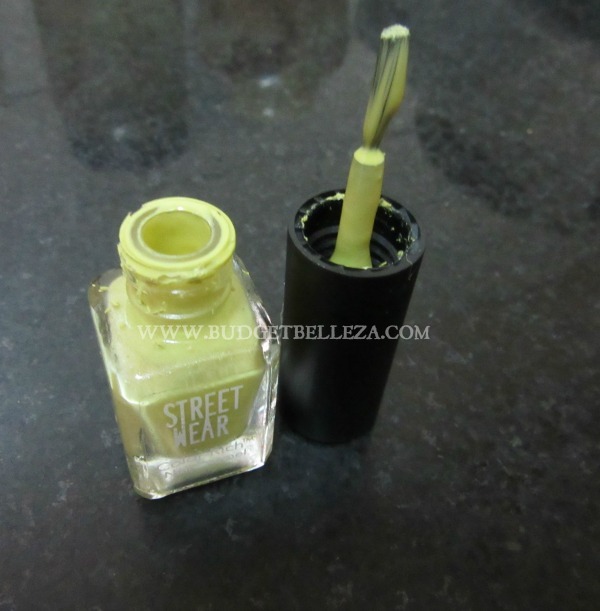 The Street Wear Color Rich Nail Enamel comes in a cute glass bottle which along with the accompanying brush has been designed for the complete ease of use. Simply open up the bottle and you are ready to make your nails appear their best. The pigments present in the nail polish are in an optimum consistency which helps in the uniformity of application. Also this long staying nail polish dries up quite fast so you do not have to worry about smudging it up at every turn while waiting for it to dry up. It remains fresh and shining for days together. Fast Drying Formula with Ultra Smooth Finish. Gorgeous Texture with Fantastic Bright Colors. 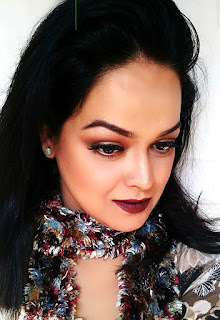 High Shine With Wide Range of in trend pop shades. Gives maximum color pay-off with an ultra smooth finish. High intensity color in very first stroke. First Coat : Start from the base in upward direction color your nails to the tip. Apply a second coat for perfect finish & better result. 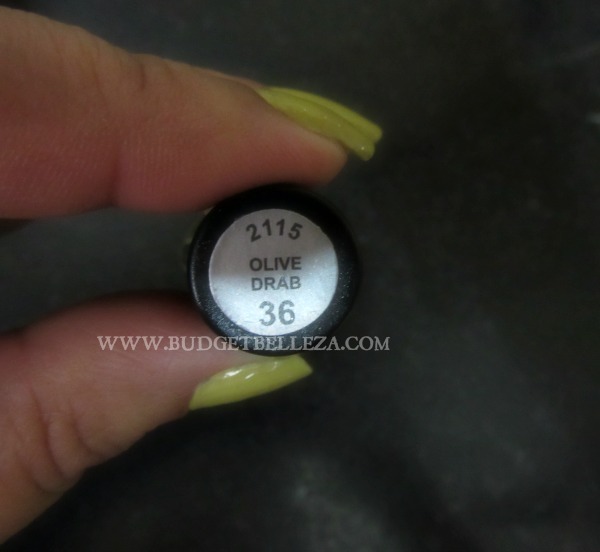 Olive Drab comes in regular Street wear nail paints packaging of tiny squarish bottles. The brush is good enough for 60/- nail paint! The shade Olive Drab is a lime-green with lots of yellow in it. I was yet to try yellow (Yusss I'm wary of it) and thought this would be a baby step into the shade. Olive Drab screams monsoons and is yet not in-your-eye kinda bright... The shade in short was the only reason I picked it (although I seriously dont remember when I picked it). Olive Drab is somewhere in between semi opaque to sheer. It needs at least 2coats to show up well and 3 coats give you the purrrrfect lime-green/yellow colour with a non streaky finish! Opaque finish in two coats. Offers a great variety of shades. Doesn't take forever to dry. Wow what a colour really makes me tempt to buy .good one.! !